The properties of the aloe vera plant are optimally suited to the needs of the human body. The Aloe Vera Drink provides energy, aids digestive functioning and reduces cravings for sweetened foods and beverages. Accordingly, more and more people are consuming aloe vera drinks as the basis for weight loss plans. Aloe vera is known to revitalize and stimulate the immune system. 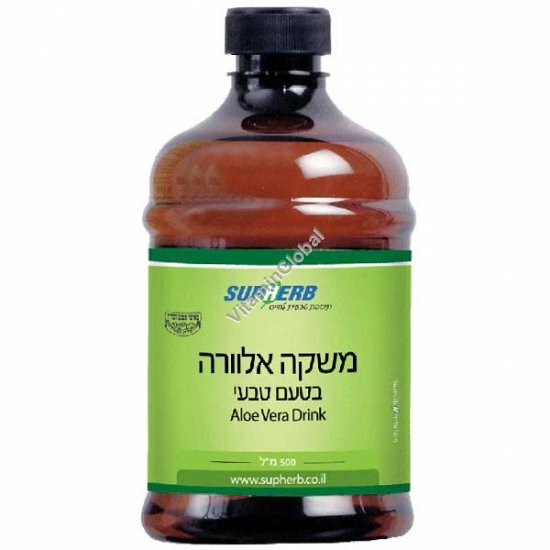 The Aloe Vera Drink is recommended for cancer, AIDS and multiple sclerosis patients to prevent deterioration of their condition and to strengthen their immune systems. Trials have shown that aloe vera accelerates the process of cell regeneration in damaged tissues by a factor of up to 8. Moreover, people suffering from ulcers report great relief after consuming an aloe vera drink. In trials conducted on hundreds of diabetics in Thailand, researchers found that patients who consumed an aloe vera drink required progressively smaller doses of insulin. Aloe vera is, of course, also known to do wonders in treating and revitalizing the skin and is widely utilized in cosmetic preparations. Aloe vera is also used in toothpastes, which achieve impressive results in revitalizing the gums and preventing inflammation in the oral cavity. Ingredients: 99% aloe vera juice. Directions: 20-30 ml (4-6 teaspoons) twice a day.